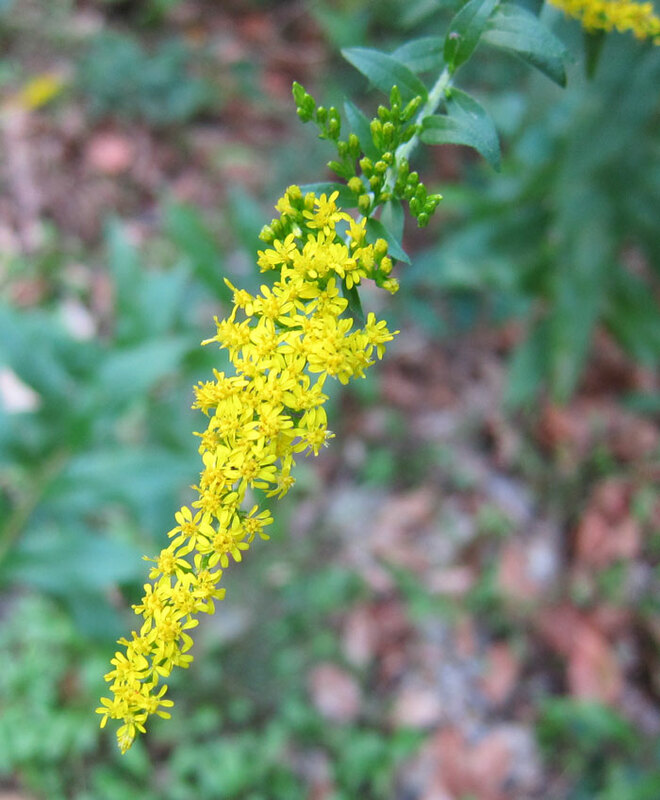 Goldenrod is a bright yellow wildflower plant that blooms in late summer through early autumn. 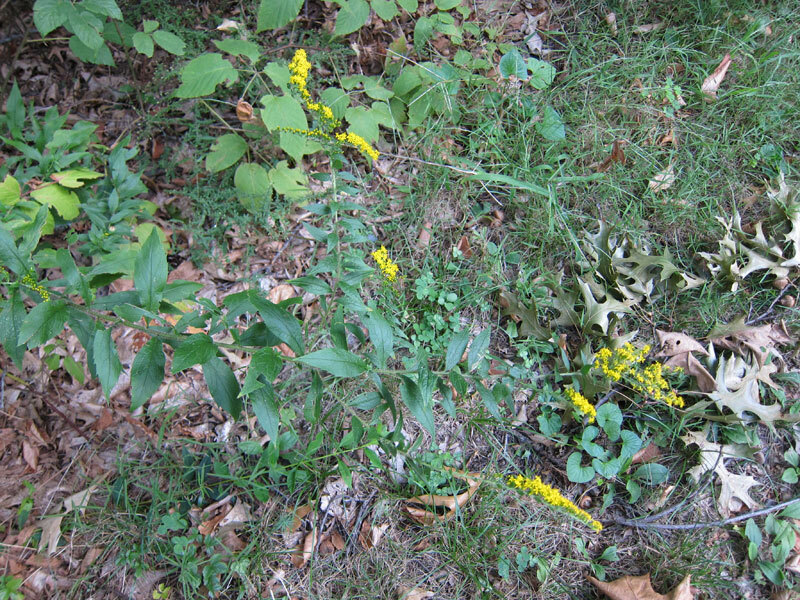 In 2010 in Sutton the goldenrod began blooming on September 13th. 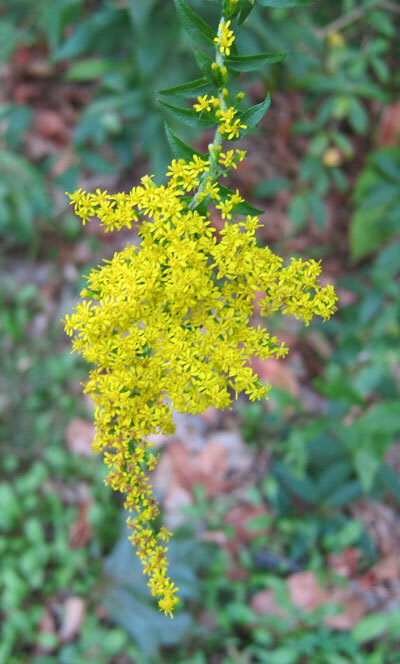 Goldenrod, Solidago, is found all over the US and definitely is found in Sutton MA! 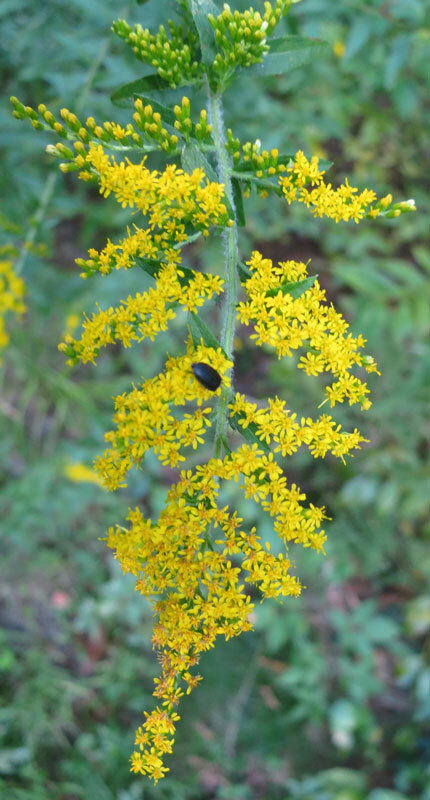 Some people make a tea of goldenrod to deal with sore throats! 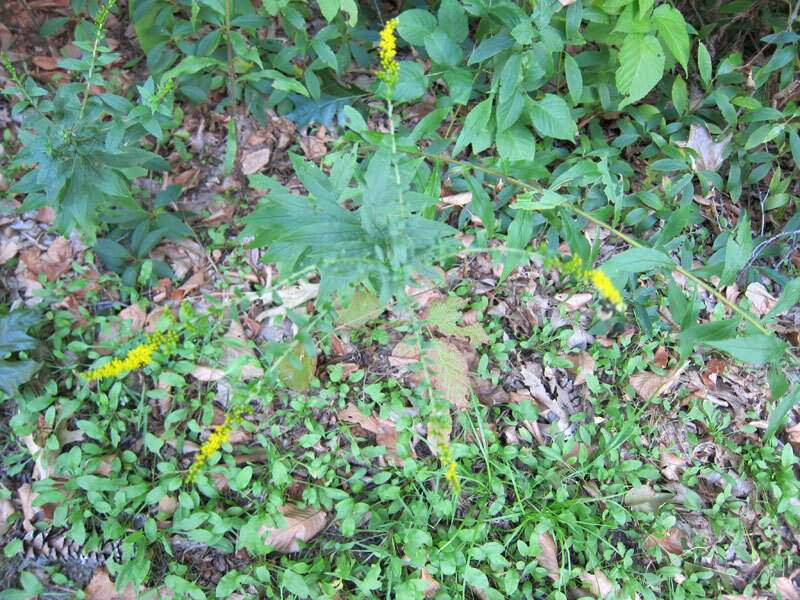 I've never tried that myself, to find out if it works. 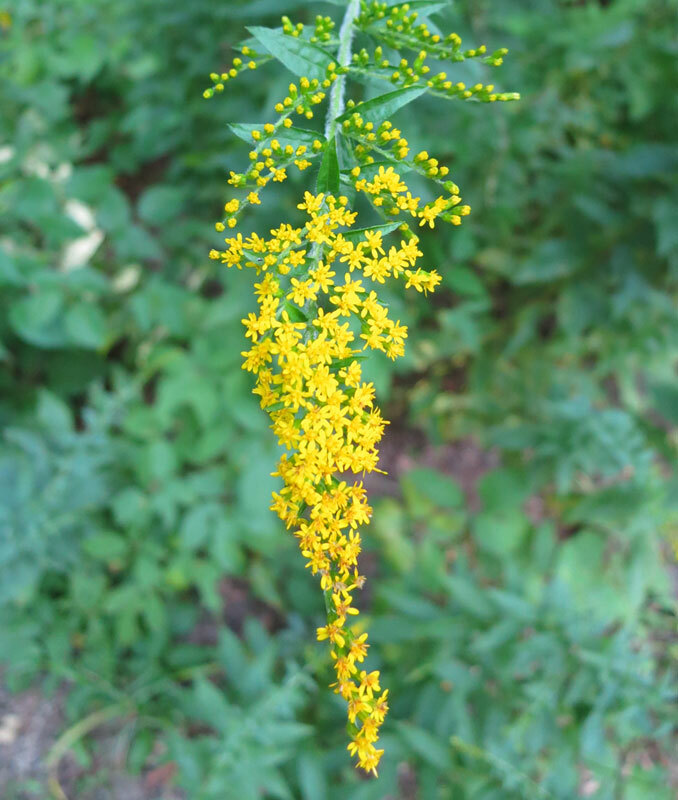 You would use the leaves and flowers and fill a tea ball with the mixture. Steep for 5 minutes in hot water, and then drink the tea. 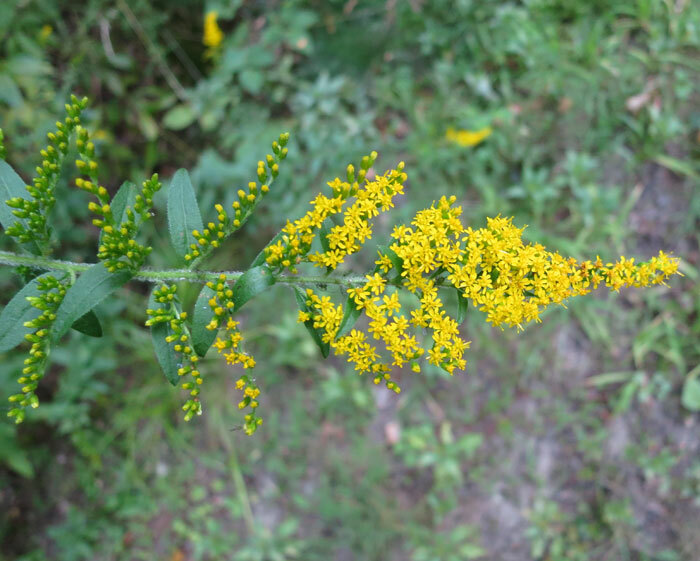 It appears from my research that goldenrod does NOT cause allergic reactions. 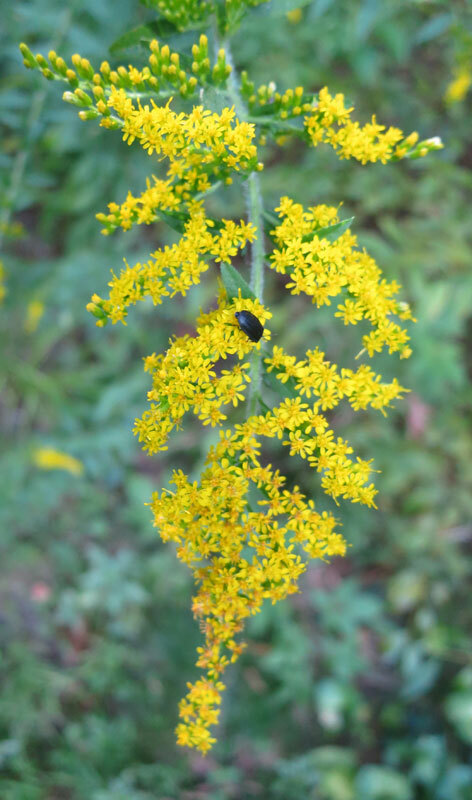 Its pollen is heavy and doesn't tend to drift in the air. 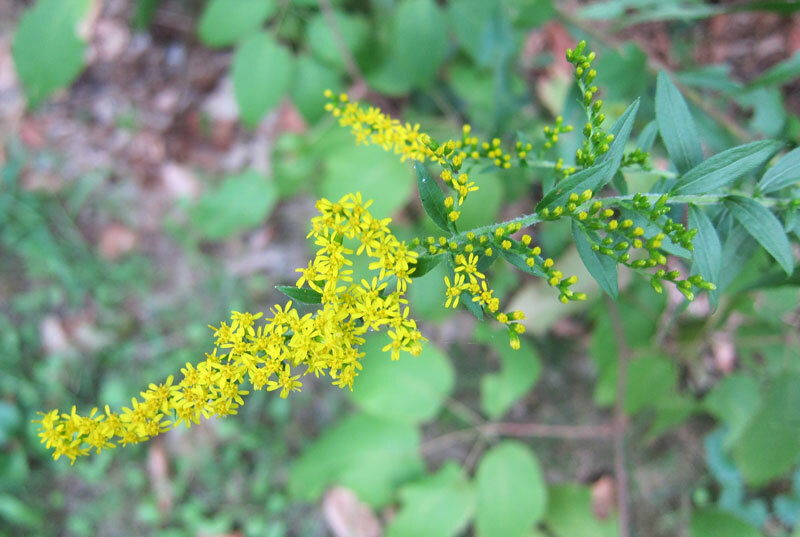 It's ragweed in the autumn that most people are reacting to. 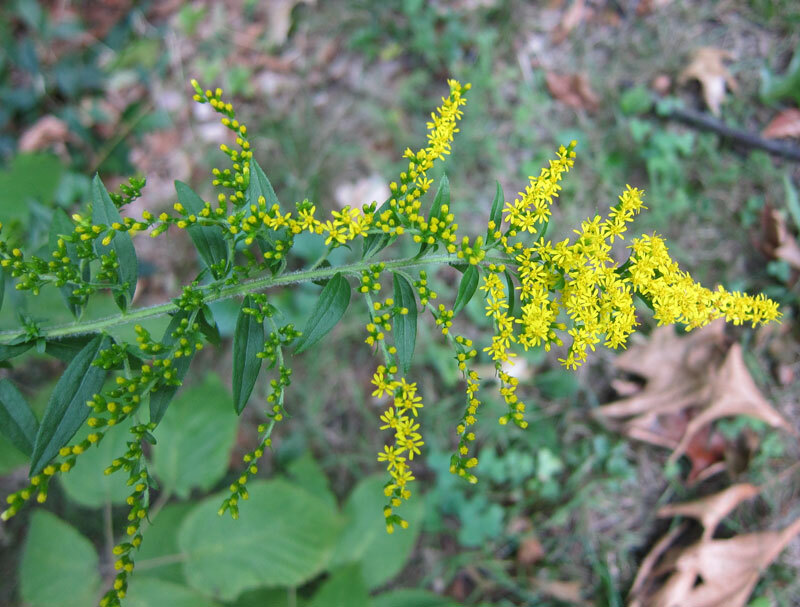 These next goldenrod photos are all from September 2010. 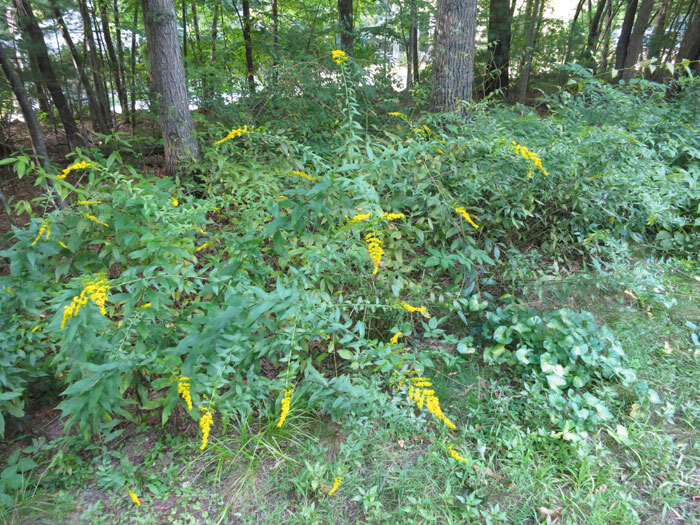 One place to spot goldenrod in Sutton is at the intersection of Central Turnpike and Putnam Hill Road. 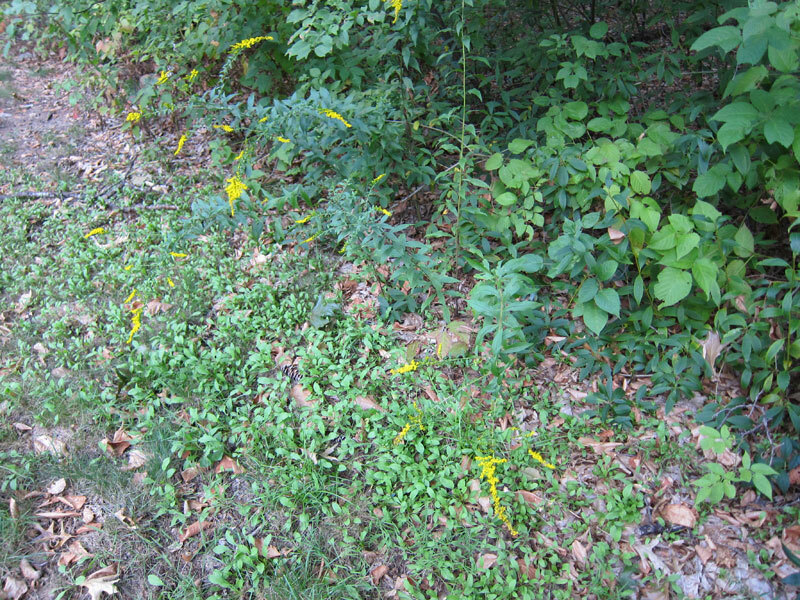 These next photos were taken on September 9, 2013.